Kerry Foods/Cheestrings as this years Race Title Sponsor. 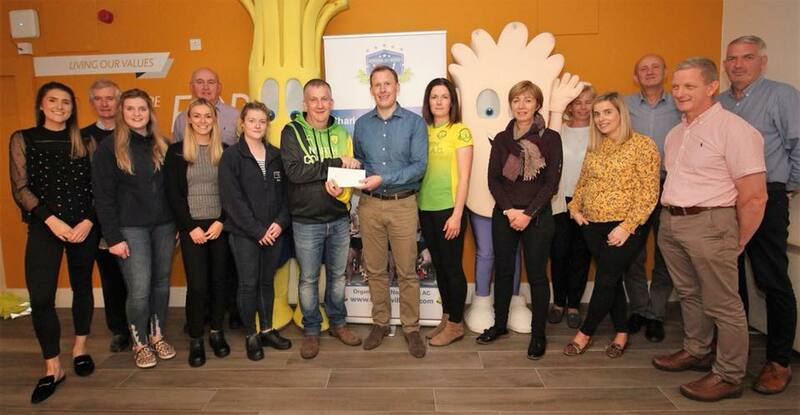 This is the 4th year Kerry Foods have kindly come on board as title sponsors. 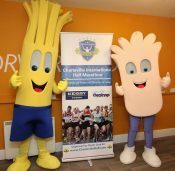 As one of the biggest employers in Charleville town we are very grateful to have them on board, not to mention the race runs past the Kerry plant on both the first and final mile of our race. PS keep a close eye this year for Team Kerry who are running the half. Pictured is Barry Woulfe, factory manager presenting a sponsorship cheque to Tom Harrold, North Cork AC Chairman. Also in photo is Deirdre O’Leary committee member along with members of the Kerry staff.